Nearly nine out of every 10 teachers told their union they have experienced aggression at their school over the past two years. At least a fifth, or 23 per cent, claimed they experienced aggressive behaviour daily, while another 23 per cent said they did so every week. 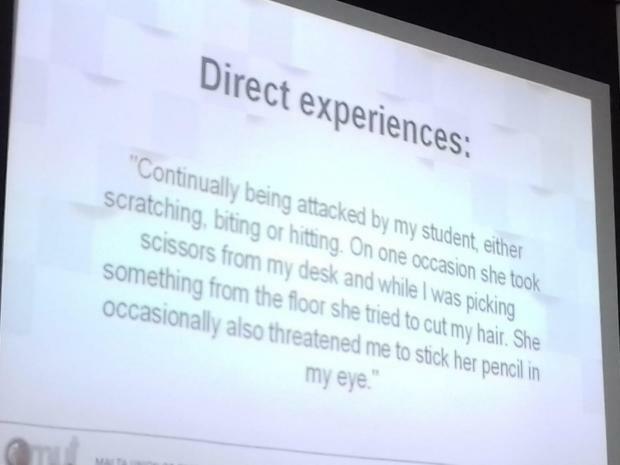 Three quarters of those who experienced such behaviour said the perpetrators were students, according to a survey by the Malta Union of Teachers. The survey was held among 183 anonymous respondents in December, after the MUT noticed escalating aggression. It was not meant to be a scientific survey, but rather one that provided MUT with a snapshot of the situation, the union's president Marco Bonnici said. Some of the shocking testimony that emerged from the survey. Nearly a third mentioned parents, 12 per cent colleagues and nine per cent said the perpetrators were superiors. However, only around 60 per cent said they reported the aggression. Mr Bonnici noted that under reporting could be the result of fear or belief that no action would be taken. The union insisted it had a zero tolerance to aggressive behaviour in schools, and it wanted to pre-empt incidents - which seemed to make headlines year in year out - rather than react afterwards, Mr Bonnici said. He described teachers' comments that were collected through the survey as "shocking". According to the survey, the aggression took place on school grounds, outside school premises and also online. Mr Bonnici said most of the aggression was physical, but he noted that the kind of discourse used by some students was very worrying and unacceptable. Trying to keep such incidents under wraps was common practice, he added. Asked to clarify, he said this culture was particular to some schools or colleges, whether state, independent or church. He warned that the MUT will not hesitate to issue directives to protect its members and the union was also launching two services. These include an SMS emergency line and the provision of psycho-social support to those who seek the union's help. The union appealed for security at schools. "A school had hired a security guard at the entrance to filter people. We want this to be extended to other schools," he said.